Cathy and Todd talk with author Devorah Heitner, author of Screenwise about appreciating the benefits of technology in the home while monitoring overuse and inappropriate content. They also discuss why not all tech-time is created equal, what it means to be a tech-positive parent, and why parents hold the wisdom that children need when they use their devices. Devorah Heitner founded Raising Digital Natives to help families and schools nurture a culture of responsible digital citizenship and empathy. Her new book Screenwise: Helping Kids Thrive and Survive in Their Digital World is a warm, smart and insightful guide to mentoring your kids in the digital age. Mayim Bialik liked it! Devorah is a frequent speaker at conferences like TEDx, SXSWedu and ISTE as well as schools all over the United States and the world. Cathy’s 3rd book, Living What You Want Your Kids To Learn won the National Indie Excellence Award!Go here to order your book. Tree of Life Chiropractic Care have some interesting workshops planned. If you shop Amazon by going through our website first (there is an amazon link on the bottom right hand of our home page), a portion of your sale will help fund future Zen Parenting programming. How important is a good smile? 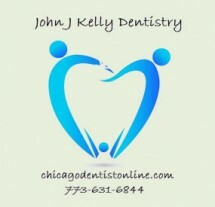 Just ask our new partner John J Kelly DDS. They are located on the northwest side of Chicago and will meet all of your family’s dental needs. Painting or remodeling? Don’t forget about our parnter Avid Co. Looking for a Vitamix blender? Don’t forget to use our coupon code 06-007296 for free shipping. Zen Parenting Radio has changed my day to day life. The mundane and sometimes frustrating tasks of the day have become productive and thought-provoking. Now I look forward to folding laundry or my commute so I can listen to Todd and Cathy. They are authentic, funny and a wealth of information and resources. As I am encouraged through Zen Parenting to become a more self-aware person, I already see the positive impacts in my parenting, marriage, and relationships. I never thought I would wish my commute was longer. Todd and Cathy's approach to mindfulness and conscious parenting is both refreshing and humble. They help parents gain insightful information through self-discovery, humility, and without judgment. You leave a podcast feeling inspired and positive, versus shamed and less than. Their genuine love for another, their children, and the community at large is a welcome change. This podcast is a must. A true game changer. Hands down my favorite podcast! Todd and Cathy are right that listening to Zen Parenting Radio will make you feel outstanding! I just love Todd and Cathy and listening to Zen Parenting Radio always brings a smile to my face. The way they parent and live life is so in alignment with my own values and listening to Zen Parenting Radio this past year has made me a better mother, wife, school psychologist, and human being. Listening also helps restore my views on humanity when life gets me down. It also makes me feel less alone and recommitted to my desire/intention of being an aware parent. As an aside, I love Cathys books and have read all 3 and they are amazing. I have turned friends on and one even began listening before she got pregnant and it is a joy to get to share our love for Todd and Cathy and Zen Parenting Radio. Cathy and Todd, First I would like to thank you for your work. I found ZPR a year ago at just the right time. I am sorting through what I want to keep in my parenting and what I want to move away from. Your show has opened a whole new approach to living and parenting that feels like "moving toward the light". For this, I am forever grateful. Thank you for the light you bring to the world. Feel free to call us or submit the form below to correspond via email.